If you are searching for the best free and safe tool for removing pattern lock from your android device. Then you search will be ending after reading this post. 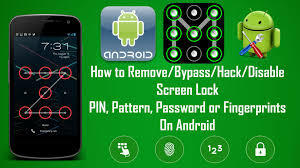 In this post i am going to tell you about 2 best and free android pattern lock remover tools which is specially develop to bypass pattern lock from all android devices without losing data. There are many android pattern lock remover tools available on internet but these two are the best ones. 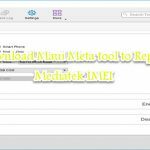 Just download the tools from the link and remove pattern lock from your android device in an easy way. Android Multi Tools is one of the best and top rated tool for unlocking android devices. Its current version is v1.02b which can be downloaded from the link below. By using Android Multi Tools you can easily unlock all type of android security locks, such as Pin Lock, Password Lock, Pattern Lock, Face Lock, and fingerprint lock. One of the best feature of this tool is that, you can unlock your android device without losing your data. It support for almost all android devices which is available in market. Download link for Android Multi Tools is given above. Follow the link if you want to download it. Dr.fone Unlock Toolkit (Android) is another free and top rated tool which helps you to remove android security locks (Pin, Password, Pattern, and Fingerprint). You can unlock your android device without losing data by using Dr.fone Unlock Toolkit. 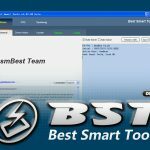 This tool working fine on all latest android smartphones and tablets. if you want to download Dr.Fone Unlock Toolkit click on the link given below.